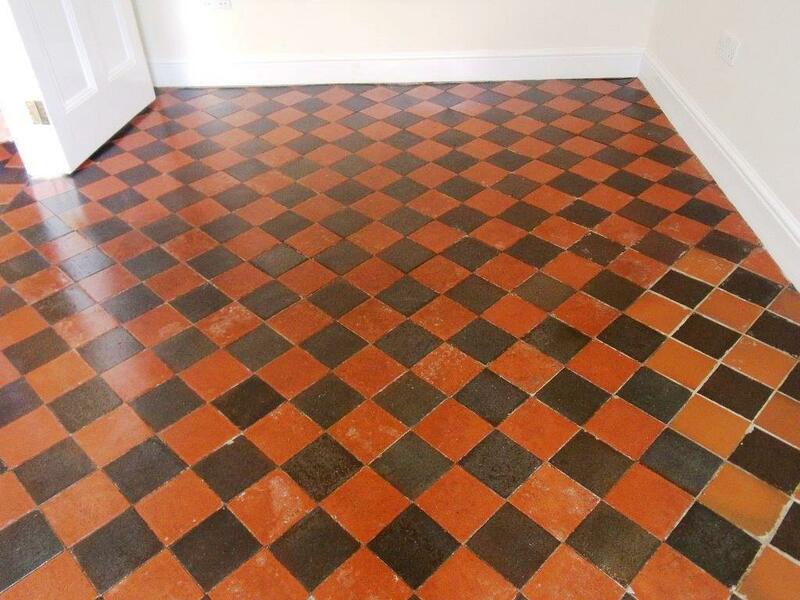 Details below of a Victorian tiled floor that we cleaned and sealed at a house in Hale, Cheshire, you can see from the photographs below how poor a condition it was in however the tiles were structurally sound so we set about restoring it. 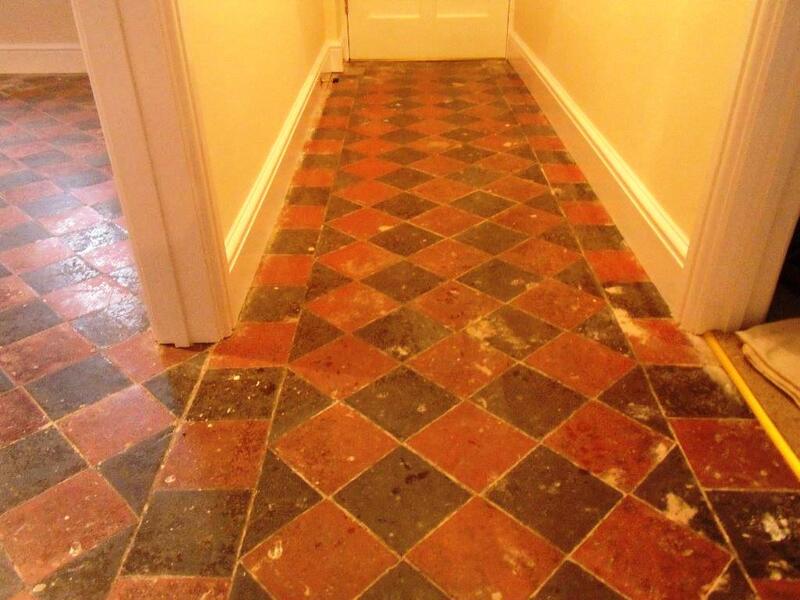 The tiles were covered with thick layer of old resin, glue, trapped dirt, possibly wax as well, so the best system for this on Victorian Floor Tiles is to cover the Tiles with a 50/50 mix of Tile Doctor Remove and Go and NanoTech Ultra-Clean; the Remove and Go breaks down the wax, glues etc. while the Nano-Clean works deeper in to the tiles and encapsulates the trapped dirt. It does take time for this process to work however so to help the process along we soak the area with these products, cover over with a plastic sheet and then leave it. The plastic sheet this stops the products from drying out and also makes the floor sweat which works like a sauna to open up the pores of the Tiles. We then cover the plastic with Cotton Dust sheets and leave it like that overnight, the customer can still walk on the Floor area while the Treatment is in place. The next day we lifted the plastic and steamed the whole area to help release the old trapped dirt and grime etc., the floor is then given a good rinse with clean water and we use a wet vacuum to remove the resultant slurry. We couldn’t seal the floor that day as it was still wet so the cotton sheets were put back on and switched on a dehumidifier to help speed up the drying process. 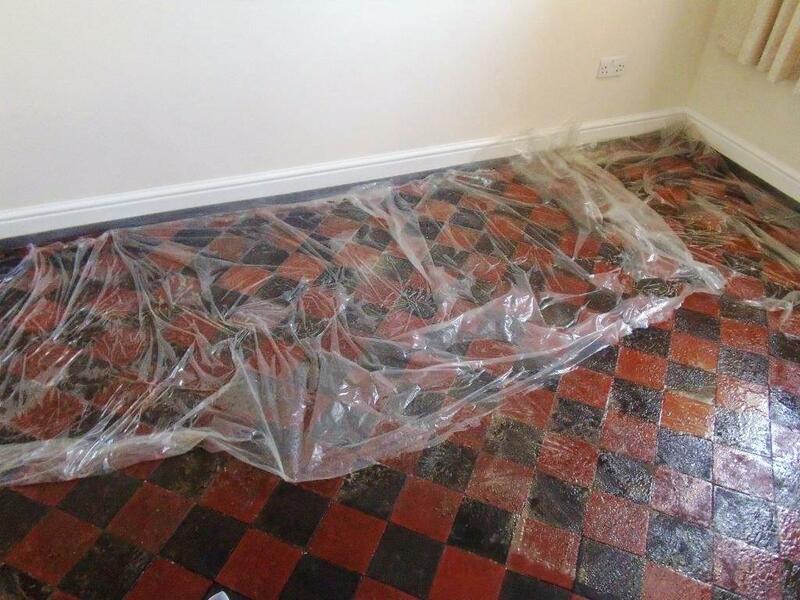 We came back the nextday and after testing the floor with a damp meter to ensure it was dry we began to seal it using five coats of Tile Doctor Seal and Go. 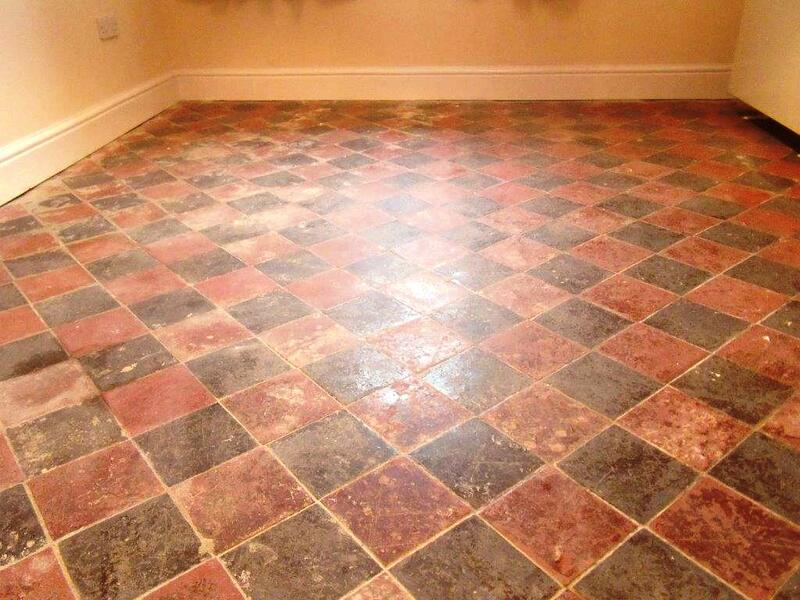 Seal and Go is a sealer for Victorian floor tiles as it provides stain resistance as well as a low sheen finish. The customer was very happy with the results and as you can see from the photographs we have managed to completely transform the floor. 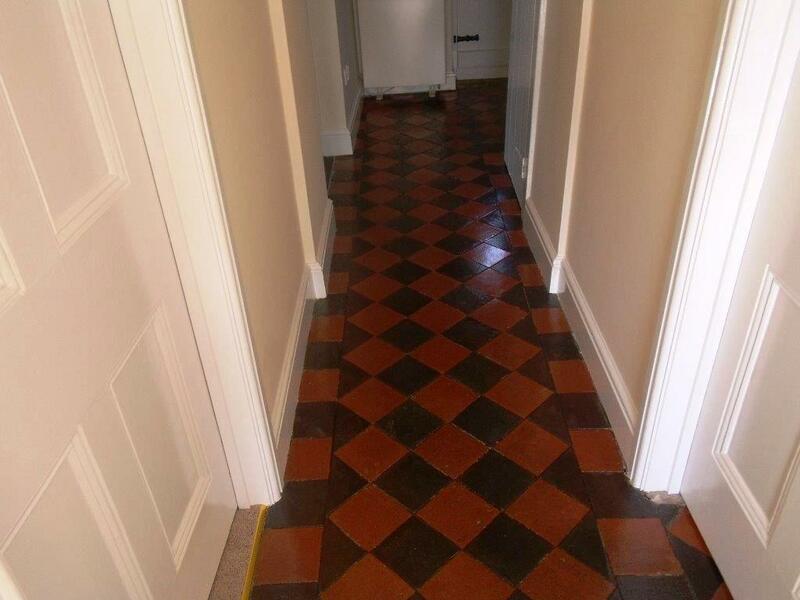 This entry was posted in Work History and tagged cheshire, cleaning services, deep cleaning, hale, restoration, sealing, tile cleaning, tile maintenance, tiled floor, victorian floor by Steve Keary. Bookmark the permalink.